The British bookmaker wants to double operating profit by 2023 through growing its online and U.S. businesses. Given domestic political heat and economic weakness, it’s the right strategy. But non-UK growth will have to shoot the lights out for the group to hit its targets. A pedestrian walks past a William Hill betting shop in London, Britain July 25, 2016. William Hill forecast lower full-year operating profit on Nov. 6, blaming weaker margins from betting on football and racing as well as challenging conditions on the UK high street. The British bookmaker also said it aimed to at least double profits between 2018 and 2023 as it expands its operations in the United States and online. 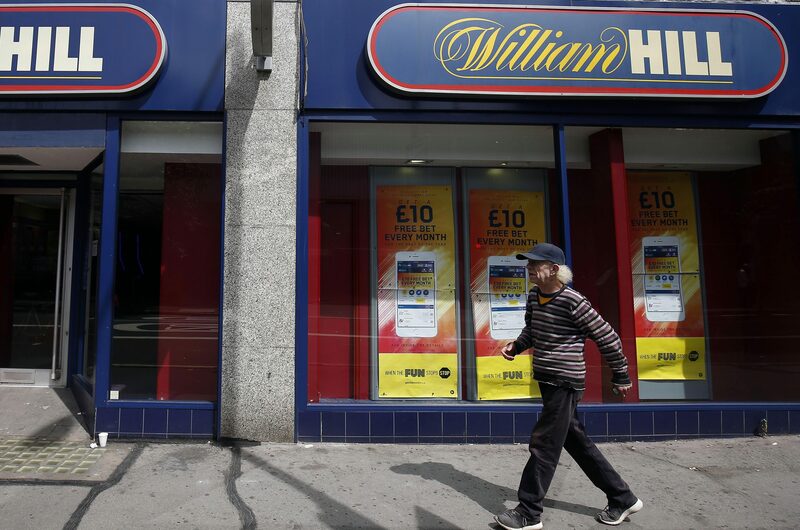 William Hill is expected to be hit by the UK government’s plan to cut the maximum stake in fixed-odds betting terminals to 2 pounds from 100 pounds from October next year. William Hill shares fell as much as 8.2 percent to 196p, close to a six-year low of 191.5p plumbed on Oct. 25. Its shares were down 3.7 percent at 0931 GMT on Nov. 6.